Metro is building a better transit experience for our customers. As part of that, the construction of a new universal mainline light rail crossover (also called an interlocking) near the UMSL South MetroLink Station is moving steadily along. 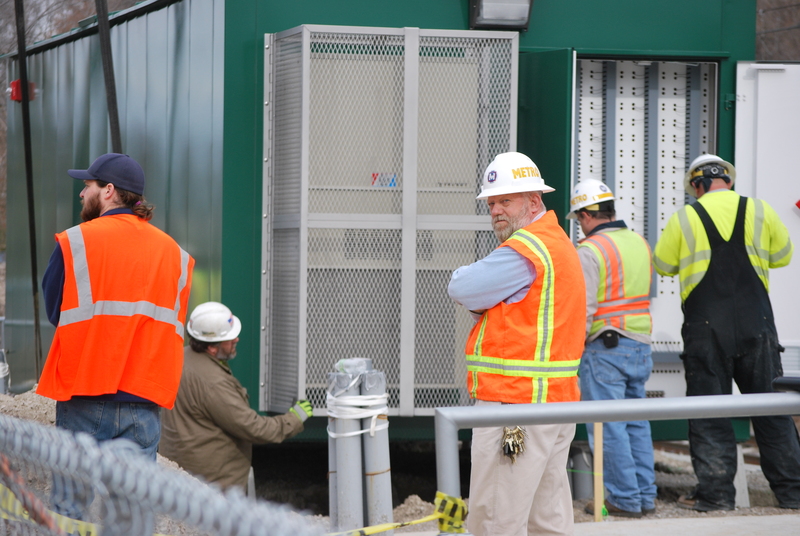 Yesterday morning, a key element—the signal house– arrived and was put into place. An 80 ton crane was brought in and was used to lift the 16,000 pound signal house up and over power lines and to position it onto piers next to the MetroLink tracks. The 10 X 24 foot structure was designed and fabricated in Texas to meet Metro specifications and trucked to St. Louis County. 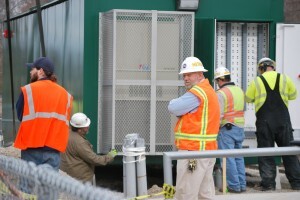 The signal house will hold important electronic MetroLink signaling and track switching devices for the interlocking. It will also house communications components essential to train operation. The interlocking will allow MetroLink trains to cross over from one track to the other so Metro can maintain smooth operations and minimal customer disruptions when unforeseen outages or routine maintenance issues require attention. Currently the closest interlocking to the UMSL South station is four miles away, meaning longer delays for customers if there is a problem on a track. 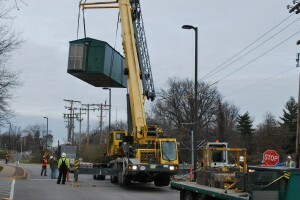 The UMSL South interlocking project is scheduled to be completed by spring of next year.